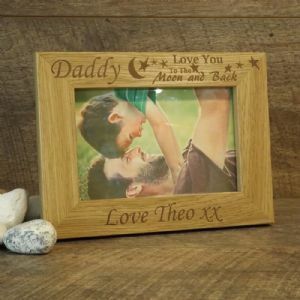 This lovely wooden frame has an oak effect veneer finish and holds a landscape photograph. 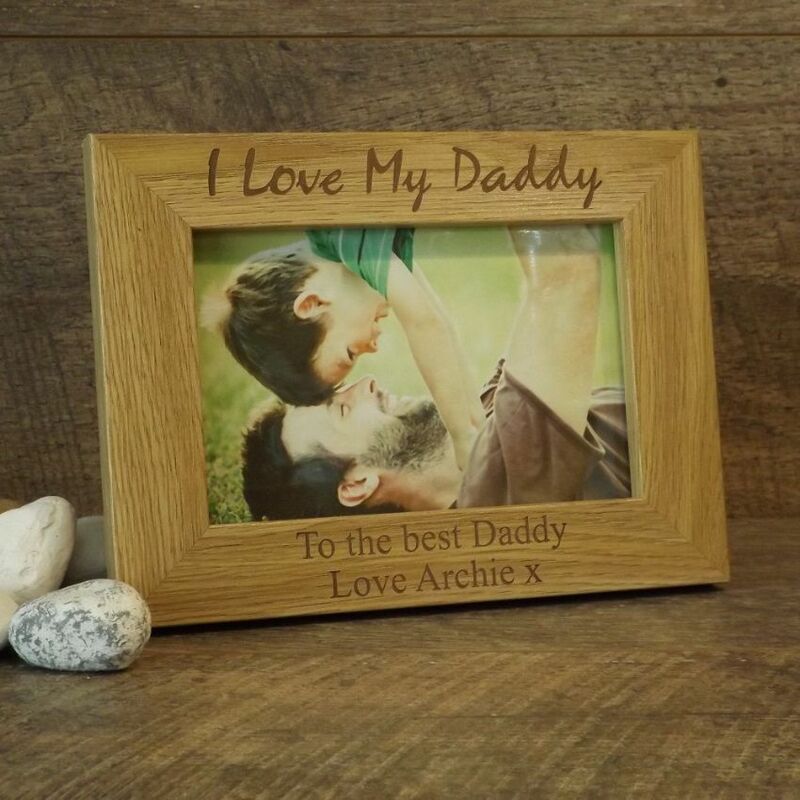 Personalised and engraved to order it makes the perfect gift for someone special. Or if you have another choice of name you would like i.e. Papa, Pops etc. we can do this for you. Please allow up to 3 working days for us to personalise this item for you before we post by your chosen postal service at the checkout.